How it works: We will submit a Karaoke Music List to you before the event, this will allow you to make up teams (Performers) of 1-6 persons and assign a song title to each team by random drawing or other means. The night of the event the teams will be introduced to the stage to perform their song. (It is best to assign the songs to the teams a day or two before their performance. This will motivate them to rehearse, get costumes(we also have Costumes), etc. We will have a surprise Sing-Off for the top two teams. The winners are selected by the loudest applause from their piers in the audience. This package is perfect for corporate conferences and meetings. 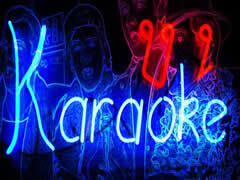 Once this has been done the floor is open to all aspiring singers, Karaoke team building is greta fun, karaoke hire is also available. This package will include an MC, professional sound system, microphones and stands, props, television monitor for the performers.